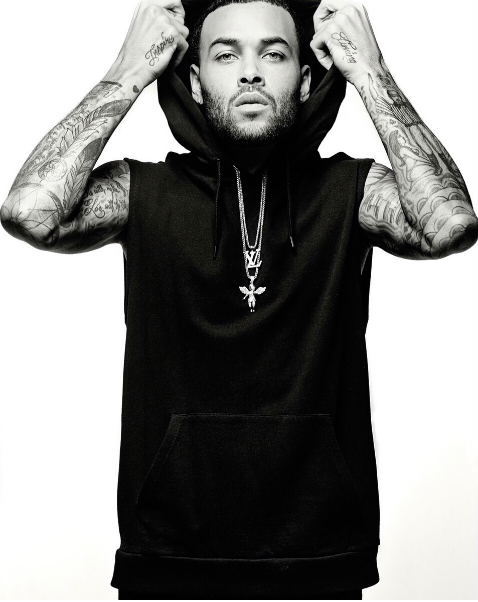 Fashion Interview : Don Benjamin Talks Modelling, Music And His Career In An Exclusive Interview With Linda Bella. 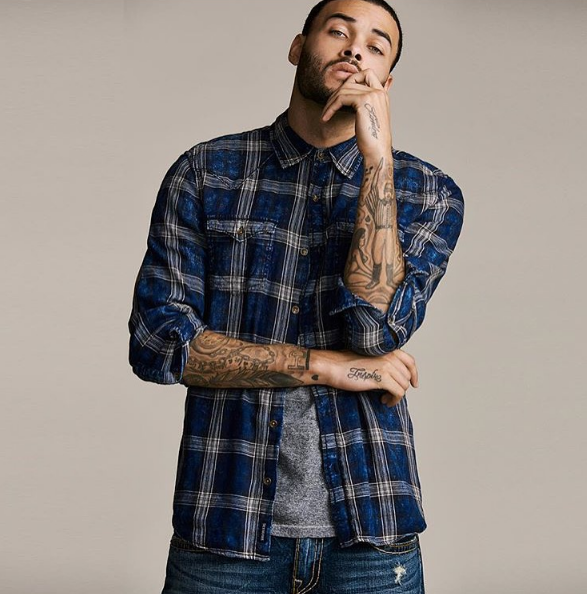 DON BENJAMIN- Music and fashion have always been intimate bedfellows, but neither world has ever heard or seen an artist and presence quite like Don Benjamin.A notable model whose credits include serving as the face for Guess, Moods of Norway, Tilly's, and Pink Dolphin campaigns and finalist on the 2013 season of America's Next Top Model, he grabs the mic and holds tight on his forthcoming debut album. The rapper ignites slick, smart verses via an impressive flow, relaying personal stories with palpable panache. It’s been resonating too. 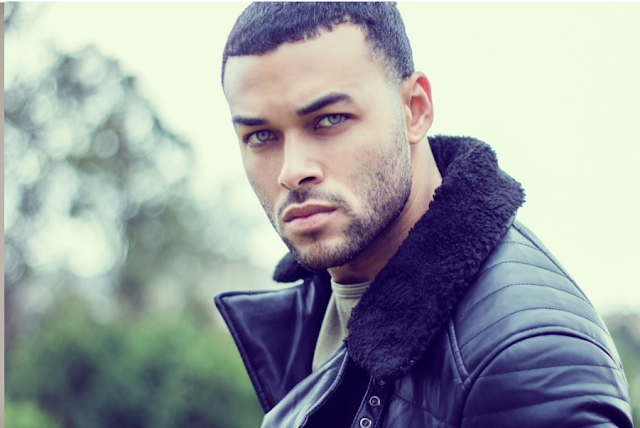 His track "Across the Sky" [featuring Nikki Flores] saw placements on Big Brother, America's Next Top Model, and various MTV programs. It also landed in the iTunes Overall Top Songs chart, officially announcing his arrival as an artist. Tell Us A Little more about yourself and what inspired you to go into the Entertainment Industry? Well, my mother got me into modeling at an early age and I always wrote poetry and rhymes growing up as a hobby. But it wasn’t until I realized I wasn’t going to the NBA that I wanted to chase the entertainment dream seriously. After I graduated high school I did a semester in college and decided to move to LA to chase it for real! Who are some of your biggest influences in the Entertainment Industry? Some of my influences in the industry consist of Jay-Z, Tyson Beckford, Denzel Washington, LL Cool J. They all took their talents to the ultimate level of success. The main thing that motivated me is knowing that anything in life is possible if you work hard enough for it. I didn’t have much coming up and I want to be able to take care of my family and know that the children in our family and their children will be straight for life. When you look back to the start of your career, did you ever think you would get this far? Honestly looking back at the beginning of my career I always knew I would make it. I just had unrealistic dreams that it would happen overnight lol but the one thing about myself is no matter what happens I never doubt myself or what I’m capable of. How do you stay in shape? and what are your healthy tips? Well for the longest I was on the studio diet lol up all night recording and eating bad foods. But I’ve become gluten-free due to an allergy so that shed a lot of body fat and then after filming I got back in the gym. Now I go to the gym 5 days a week. What other hobbies do you engage in when you are not modeling or singing? I like playing basketball, bowling, going to the movies, shooting pool. Knowing what you know, what advice would you give to models and Artist who are trying to establish themselves in the entertainment industry? I would have to say stay light-hearted and don’t take criticism to the heart otherwise you won’t last long. You have to be able to hear No over and over again before you finally get a yes. What has been the biggest hurdle you have had to overcome since the start of your career? I think trying to balance music modeling and acting. A lot of people chase one but I have been chasing all 3. Do you have any upcoming project and tell us more about your track “REAL”? I am currently working on an EP. I have about 4 tracks done. Hoping to release some next month. My single real was mostly inspired by so many people trying to be something they are not and how that eventually comes to light. Also a lot of people judging me by my looks and not really knowing what I’m about or what I’ve been through. I wanted it to show I’m more than a model.